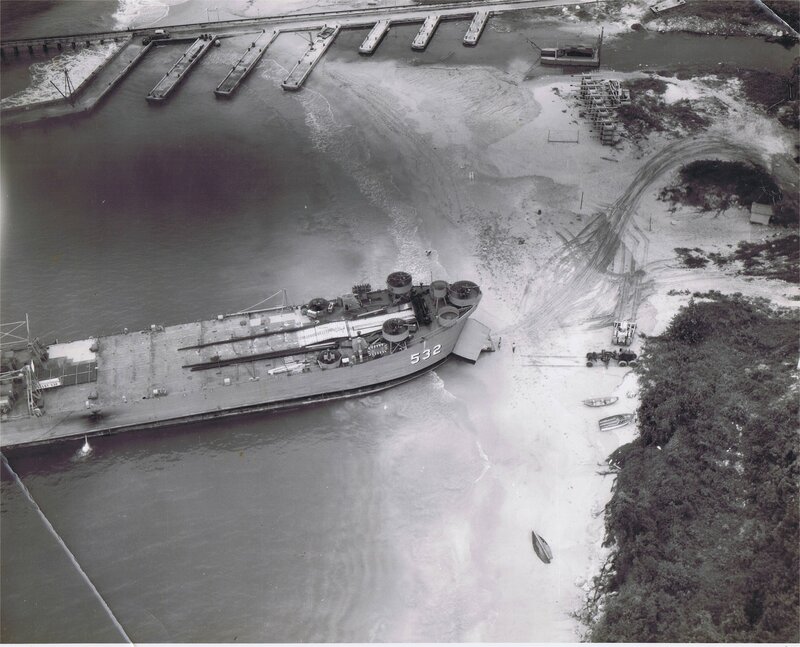 Laid down, 24 September 1943, at Missouri Valley Bridge & Iron Co., Evansville, IN. 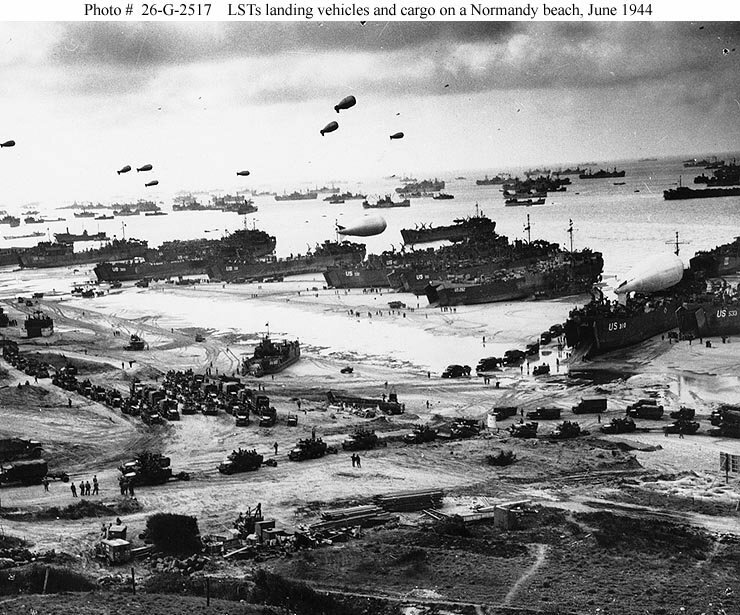 26-G-2517 145k USS LST-310 (2nd LST from the right) along with other ships putting cargo ashore on one of the invasion beaches, at low tide during the first days of the Invasion of Normandy in June 1944. 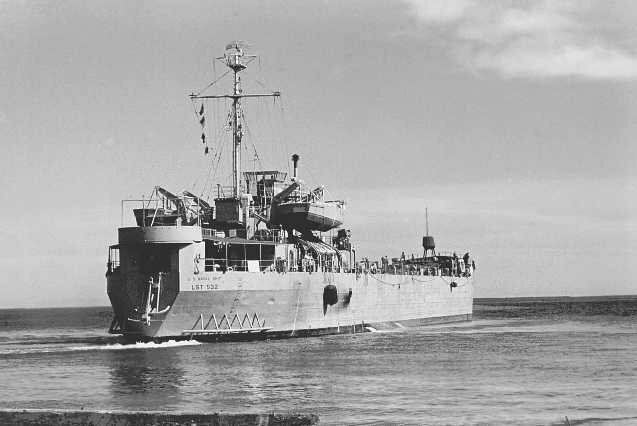 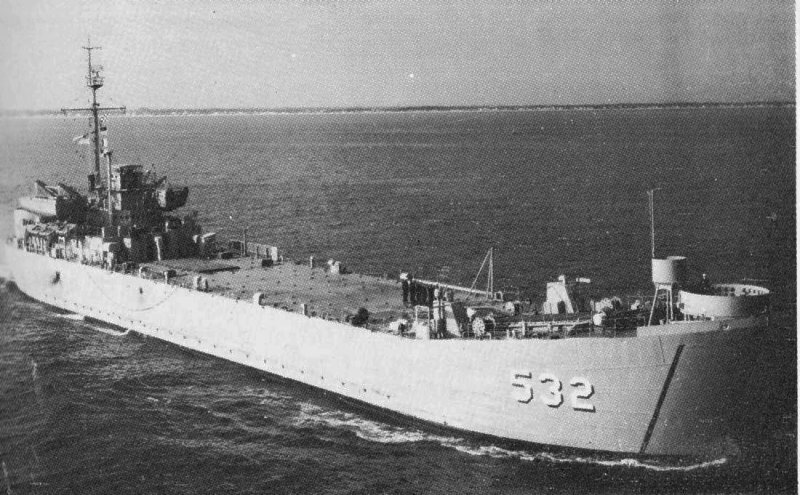 Among identifiable ships present are USS LST-532 (in the center of the view); USS LST-262 (3rd LST from right); USS LST-533 (partially visible at far right); and USS LST-524. 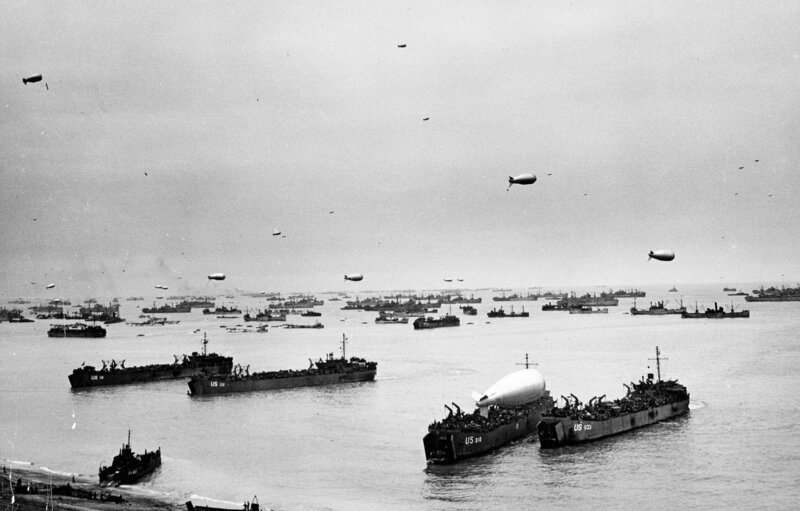 Note the barrage balloons overhead and Army "half-track" convoy forming up on the beach. 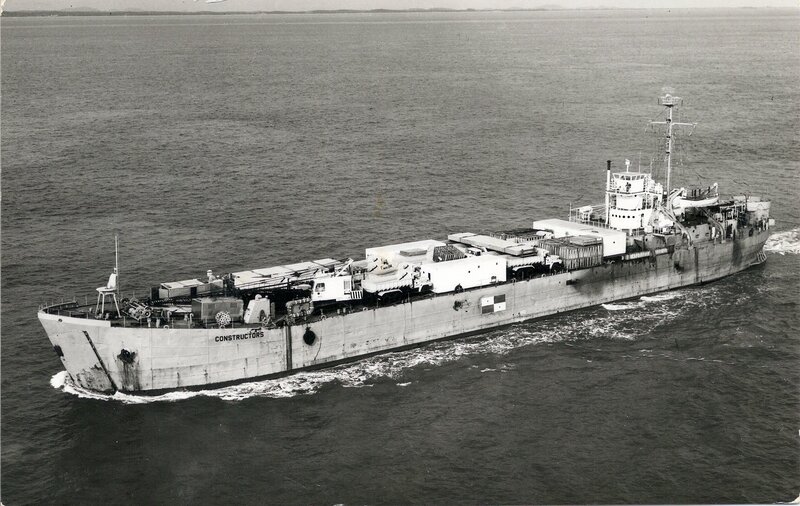 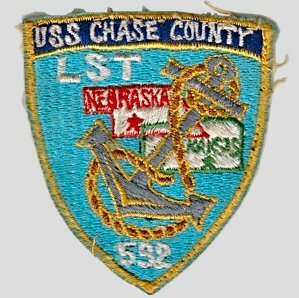 106k USS Chase County (LST-532) under way, circa 1967, location unknown.